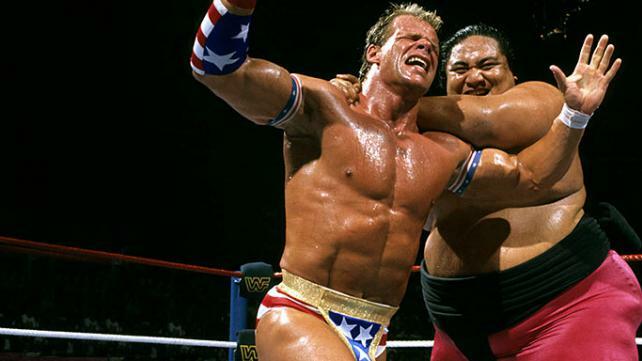 Yokozuna only appeared on one SummerSlam pay-per-view, but he made history in the process. He was the first bad guy world heavyweight champion on the yearly event. He defended the gold in the main event of SummerSlam '93 against Lex Luger. And even though it was the sixth SummerSlam, it was only the third to feature a heavyweight championship match. Yoko had won his second championship (his first lasted about 20 seconds) at King of the Ring earlier that summer. Because Hogan was leaving, the WWF needed a new all-American type hero and turned to Lex Luger. He had been a heel himself as the Narcissist. 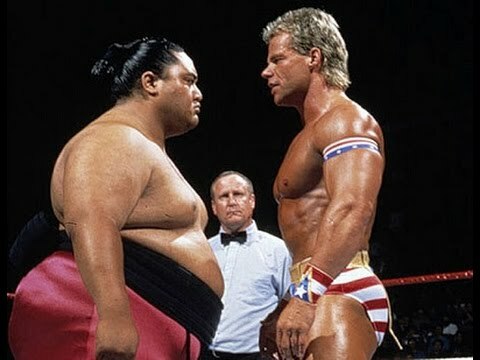 But soon he dressed in stars and stripes garb and was body slamming the 500 plus pound Samoan superstar (even though his character was Japanese). The two met at SummerSlam and Luger won the match by count out after knocking the big man out of the ring with his patented "loaded" elbow. He did wrestle a few years later on the "Free For All" event before SummerSlam '96. By then he was a good guy and had slipped down the card. He also slipped off the ropes when he tried to do his Banzai Drop on "Stone Cold" Steve Austin. The rope broke and Yoko crashed to the mat. A dazed Austin, fresh off his King of the Ring win, scored the pinfall. I always thought Yokozuna moved amazingly well for a man his size. Now 15 years after his death I think I have an even better appreciation for him and wish he would have been around longer for his family, friends and fans to enjoy.